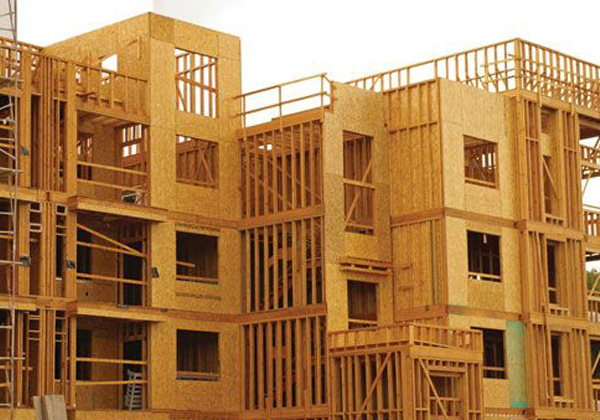 Insurers Are Becoming More Critical of Wood Construction. Why am I the only one in the building industry defending against the negative propaganda the steel guys spread about high density wood framed buildings and risk management insurers? Where are all of those that want to continue building with wood, the best renewable sustainable approach for mid rise affordable housing? Get your head out of the sand and join me to fight back like AVB has when it comes to making wood framed building safer in fire during construction. It is simple, push the cost to fire defend up hill or you are going to find the insurance industry push risk premiums higher and higher,especially after we have lost over 20 wood framed construction buildings to fire in the last 18 months. Join me to embrace the most cost effective way to defend wood framed buildings from fire during construction, the underwriters will eventually have to lower premiums because of less risk. Our wood framed stick buildings will only stay competitive if we defend 100% from fire, so we don't end up like CLT where there is no savings compared to concrete and steel because of high premiums. I'm a huge supporter of CLT, however, all the producers drank the euro Kool-Aid regarding their Class B E119 structure failure for mass timber high rise, instead of adding fire protection to make it Class A to offset the negative fire risk perception. The negative perception with CLT also comes from the stick frame fires making risk premiums too high with having little or no savings compared to concrete and steel. SBC Industry News has published this story to raise awareness of information publicly available online and does not, nor cannot, vouch for the validity of any claims made in the article. Insurers have long been wise to these risks. "Wood" construction has a greater likelihood to burn or be damaged by fire and will be a total loss versus a partial one. Loss history for wood construction has been poor, and carriers are restricting on the amount of risk they will take. This drives up the cost to the builder, and actually weakens the pro-wood argument that it is less expensive than other materials. The recent major wood frame fires calls for a need to look at cost savings and particularly insurance more closely. But insurance is more than a line item, and can seem to have as many variables as a project itself. That's because a single commercial building project requires a range of insurance products, including property insurance, workers compensation, course-of-construction liability insurance and builders risk insurance. Complicating matters further, the cost of each of these types of insurance depends on factors unique to each individual project. Because insurance is necessary, even if a builder shops for insurance with close attention to cost, the prevailing attitude may be to "bite the bullet" and accept insurance expenses as the "cost of doing business." But for a range of low- and mid-rise construction projects, there are a few options. Builders may be missing a major opportunity to trim their insurance costs where they might least expect it—through the use of cold-formed steel framing. The simple reason is that cold-formed steel is non-combustible: It simply does not burn or contribute to the spread or intensity of a fire. One insurer, the US Assure Builders Risk Plan insured by Zurich American Insurance Co., for example, offers a builders risk insurance plan specifically designed for steel-framed projects. The firm says the plan is the first offering explicitly based on the non-combustibility of steel versus wood. 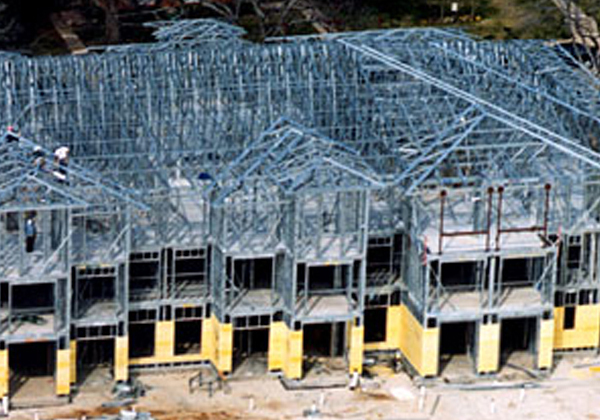 According to the company, the plan establishes builders risk insurance rates for cold-formed steel framing in commercial and multifamily construction projects that are significantly lower than the premiums available for wood-framed projects. Of course, all this is subject to underwriting. I have been building with wood for over 40 years and we have perfected it and only now in our crazy political environment and urban infill are we subject to arsons burning building down during construction. Join me in honor of those 2 construction workers that died midday in Denver and fight back and embrace defending 100% of the lumber as it frames vertical. Join my CYA plan and recommend Mighty Fire Breaker Fire Elimination Plan on every quote. If the owner says no way am I spending the extra money tell them no problem just sign off that I recommended it. If more of us do this the underwriters will soon lower premiums to offset the cost to fire defend because Best Practice In Wood Frame Against Fire is now available nation wide to all of you. I'm a guy that came out of Local 940 Carpenters in the mid 70's and I cut my teeth on the construction defect claims because California was the epi-center for them. Now the new Sleeping Giant in the Building Industry is fire so CYA and recommend it or you will be dragged in by litigators because you now know there is a better way to make wood framed jobs safer.